These stud earrings from Tacori's City Lights collection are a small statement of elegance. 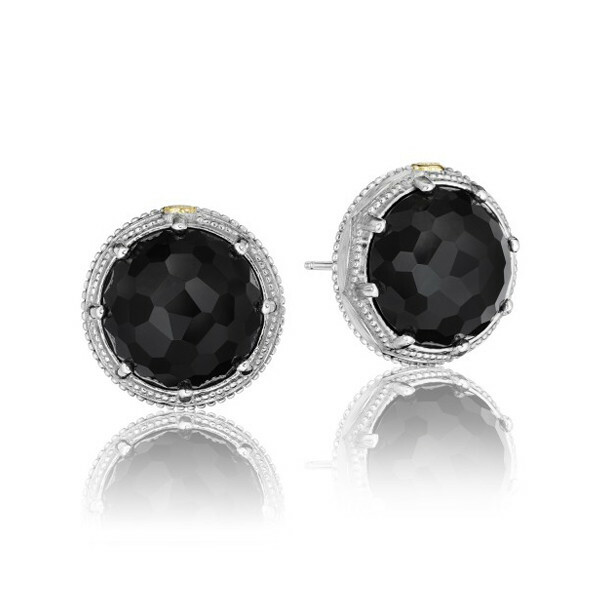 Each earring features a gorgeous black onyx stone that rests in a milgrain basket of lush sterling silver, and the small Tacori seal in 18kt yellow gold is present on each earring. Despite being small in stature, these Tacori earrings pack a great fashion punch.